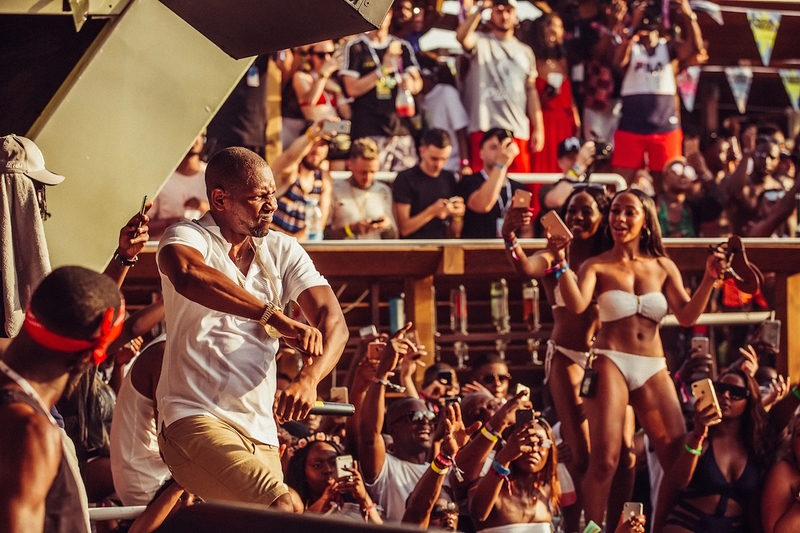 Find out what I wore and what I got up to at Fresh Island Festival. I am still recovering from Fresh Island Festival, a huge urban music festival that takes place on on Zcre Beach on the Croatian Island of Pag. 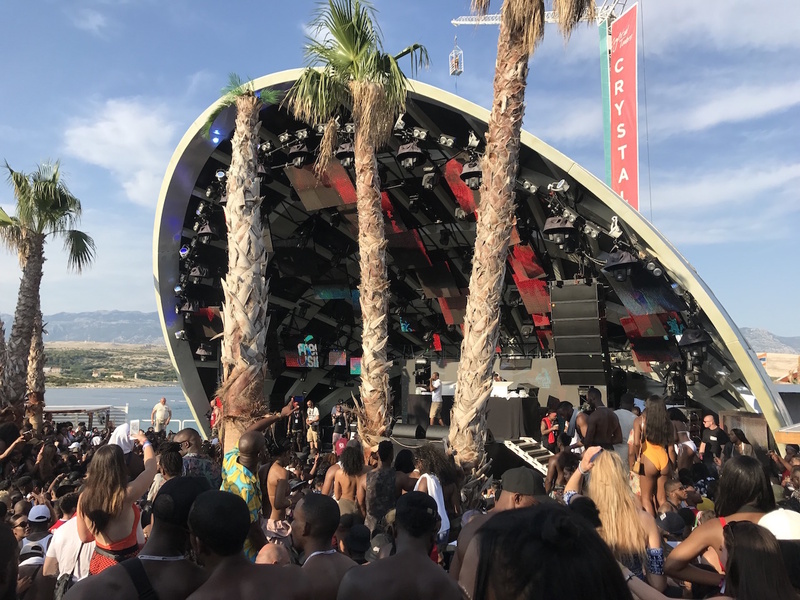 I’d barely had time to wash following Wireless Festival and I was straight on the plane to Split, ready to see a stellar line-up of grime and hip-hop artists such as Giggs and Rae Sremmurd on the beach! I had been counting down to the festival for months, as let’s be honest, grime, hip-hop and sunshine is basically my dream combination, and it definitely did not disappoint! We had VIP wrist bands, which if you can afford I would really recommend. The bands mean that you can get into the VIP areas which are less crowded and have a better view, plus we got to go to the VIP pool party at Hotel Luna on the day before the festival began, and this was one of my favourite days. For the rest of the festival, there were so many options both in the day in the night time including a cast of the best international DJs including; DJ Jazzy Jeff (ummmmm hell yeah!) and Tim Westwood at day time pool and day parties, poolside BBQ brunches each day, and even a special screening of ‘All Eyes On Me’ in an open air cinema. 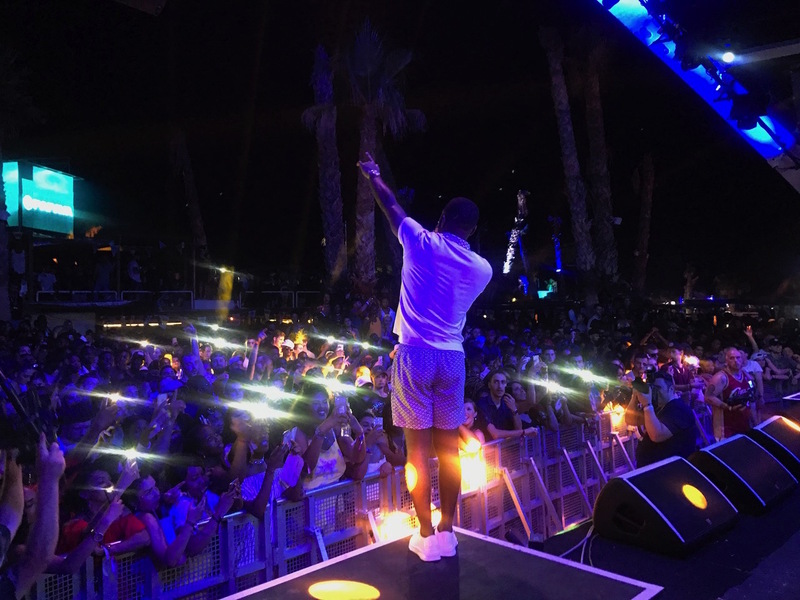 Then, of course there was the star studded line-up of the best in grime, trap, hip-hop, from AJ Tracey, Sean Paul, French Montana and Young Thug, but my absolute highlights had to be the following. 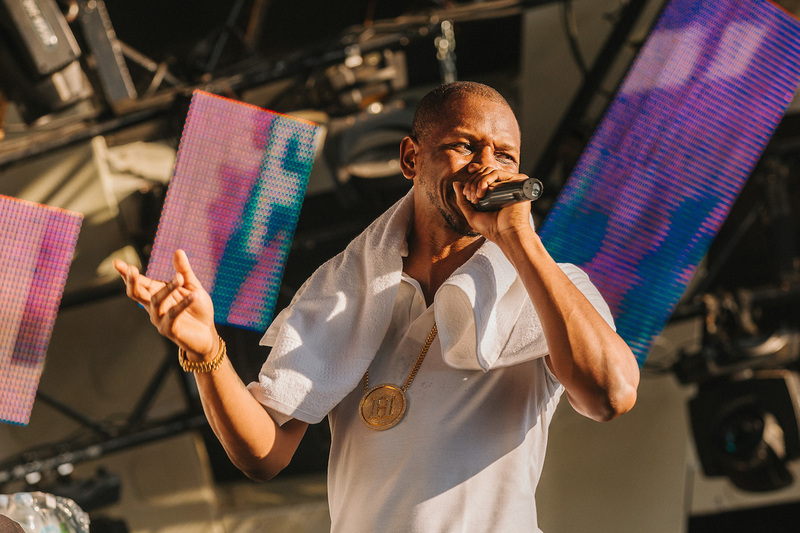 I was so excited to see Giggs live, as I actually lost my tickets for his headline show a couple of months back (it still breaks my heart having to write that), and he was incredible! 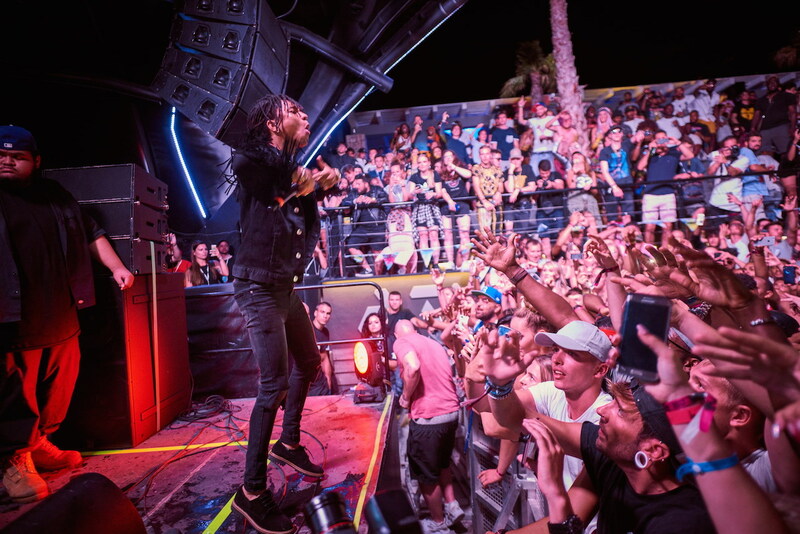 His gig was in the beautiful outdoor club Papaya, with the sea behind the stage, and he shut it down! Imagine the sun shining down as he played his huge hits including his feature on Drake’s track KMT, which created many a mosh pit! Even writing it I’m getting excited about that memory! 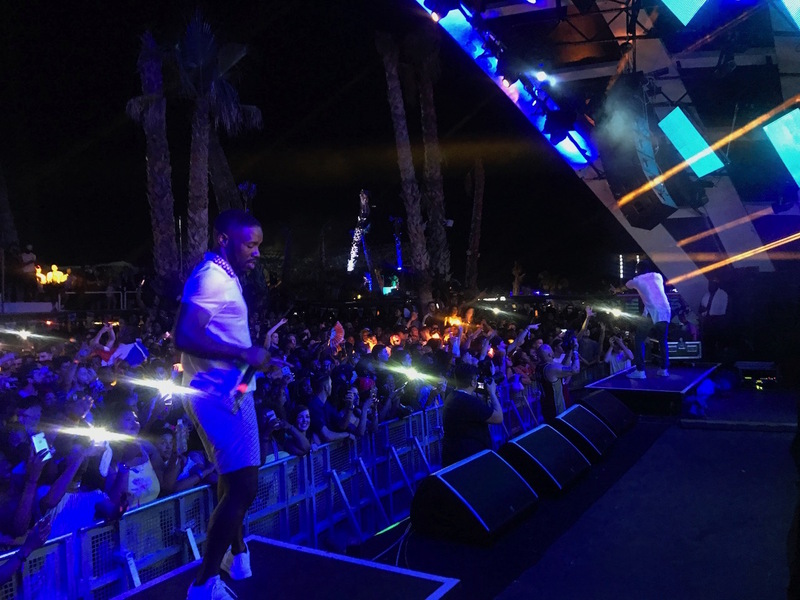 Another act I’ve always wanted to see but hadn’t been able to was Krept & Konan and I was lucky enough to watch them from side of stage at Papaya at 1am. I used to listen to their album, the Long Way Home on repeat so I was dead excited to get to hear them! And judging by the huge crowds I wasn’t the only one either. Of course their hits; Freak of the Week and Don’t Waste My Time were the highlights! Finally, Rae Sremmurd absolutely blew my mind! Again, I forced myself to stay awake until their set time of 1am (I’m such a granny) and braved the insane winds to catch them. I’d seen them at Wireless Festival a few days earlier and was so impressed by their energetic performance, but it was nothing compared to Fresh Island Festival. As the venue was much smaller than Wireless, they were closer to the crowd and it was the wildest live performance I’ve ever seen. 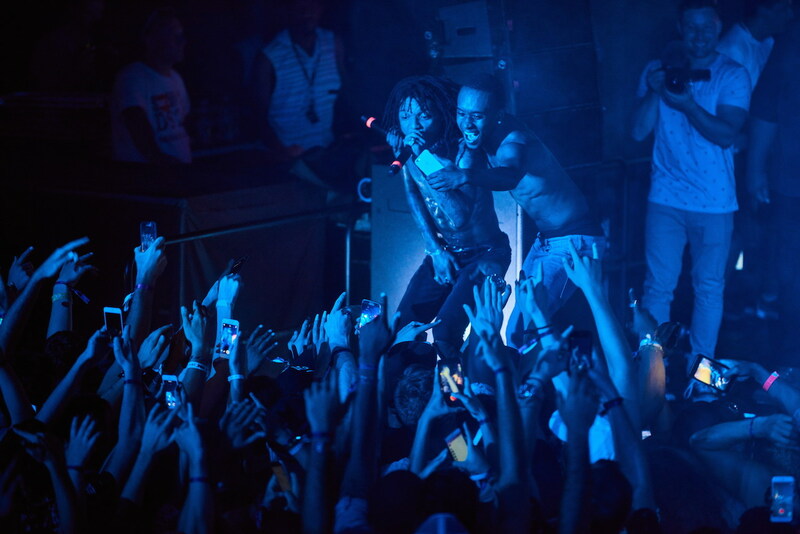 Rae Sremmurd are modern day rock stars, trust me! There was stage diving, champagne spraying, they were even handing out drinks to the crowd, picking pretty girls out of the audience to come up on stage, and allowed the stage invaders to stage dive back out into the crowd. It was mesmerising, plus they have serious hits. 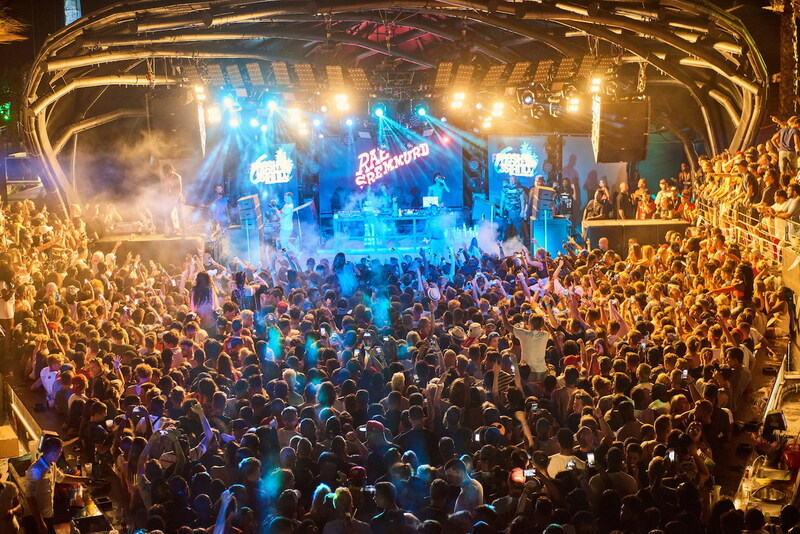 What I will say about Fresh Island is, a lot of the live music takes place at nighttime, which as a regular festival goer, was confusing for me. I love being in the sun, day draining and listening to live music, but with the exception of Giggs, all the other major acts were on at 1am, and often with clashing set times. We had to pick between French Montana and Young Thug, Sean Paul and Rae Sremmurd, Krept & Konan and Kojo Funds. It was heartbreaking to have to pick, and I really hope they stagger the set times more in future! So whilst the festival was incredible, I would say to bear that in mind if you’re not much of a night time soul! 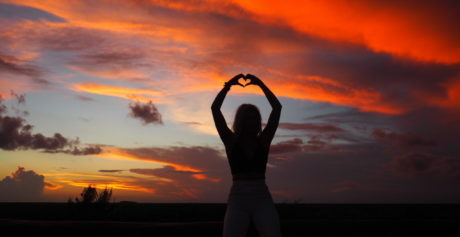 That said, there was lots of activities in the day time with some incredible DJ”s and another of my favourite days was on the sunset boat party. We set sail at 5pm, so the sun was still shining and there was an amazing crowd of people, and after 10 minutes the DJ”s started playing the best Hip Hop and Grime tracks. We were lucky enough to be up with the DJ’s, there were 3 in total that alternated throughout the 3 1/2 hour trip, and we got to drink and be merry in the sunshine. 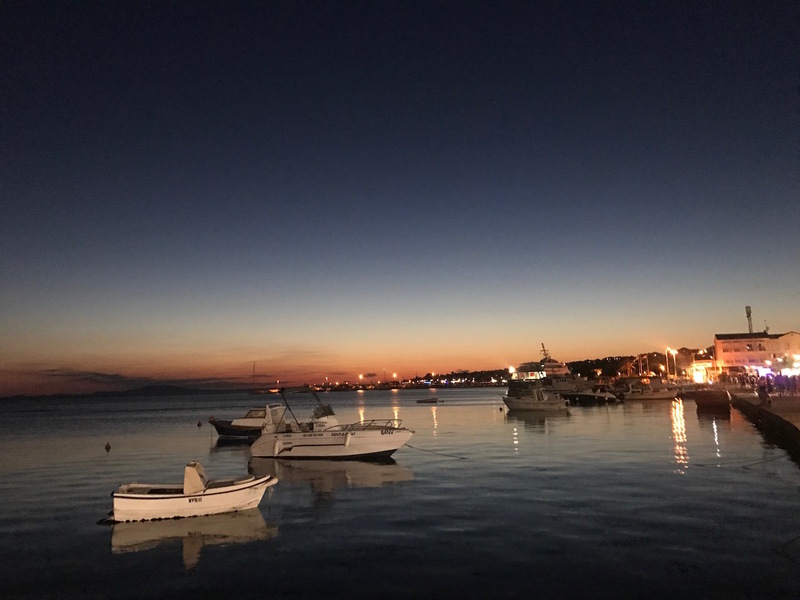 I was really blown away by how beautiful the sunset was and how pretty Novalja looked as we came back into port, and we carried on the drinking back at our villa. Music and drinking on the sea is always a good idea, so if you’re going to Fresh Island then definitely don’t miss the boat parties! Whilst the line-up for 2018 is yet to be announced (or probably even decided), you can register your email address for super early bed access. Head over to http://fresh-island.org. I thought it might also be useful to share with you some of the practicalities in case you are trying to plan your trip there. To get to Zcre Beach you need to fly to Zadar or Split and take a transfer. Technically Zadar is the closest but the flights I found were way more expensive, but definitely do your research and bear in mind you have to pay for a transfer from the airport to Novalja too, that’s the nearest town to Zcre Beach and where most people stay. You could also rent a car if you’re brave like that, but I’m terrified of driving and not brave enough to drive on that side of the road! After arriving into Split, we booked an airport transfer to Novalja, the nearest town to Zcre Beach. 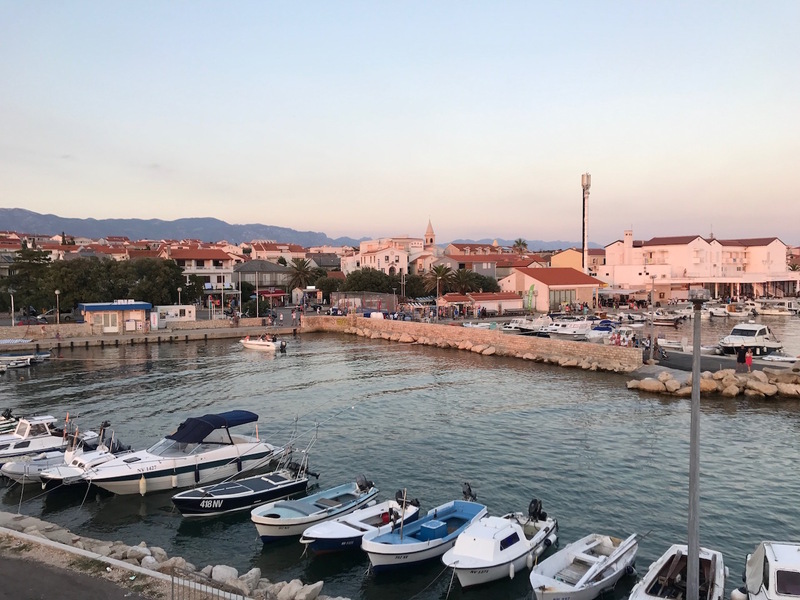 It was about £150 between the three of us, but it is a good 2 1/2 hour trip, and took us along Croatia’s beautiful coast line and we were dropped directly at our villa. We used the company transfer.si, and we shared a minibus with 4 other guys. Once in Novalja, there is a shuttle bus that can take you to and from the festival that has regular departure times, or you can book an Uber. Yes, I know, I couldn’t believe Uber existed on an island in Northern Croatia either! 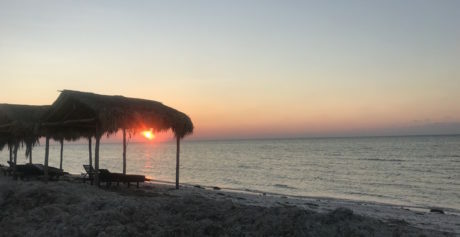 We really lucked out with our accommodation so I fully recommend it if you are looking for a good base for any of the festivals that take place on Zcre Beach. We stayed in a very pretty villa called Villa Ami, which has a pool, unlike a lot of the other accommodation options in the area. It’s run by a very sweet local lady who couldn’t have been more hospitable to our needs – we even got our first alcoholic beverage on the house! The villa is a beautiful yellow colour and it’s covered in big purple flowers, and we had a little ground-floor apartment that had a pool-side terrace, which meant we got to be very sociable with everyone else at the villa, which were mainly other young festival goers. We had two rooms, but one of the rooms was in the same room as the kitchenette area, but we were happy with two double beds between the three of us. It wasn’t luxurious, but it was clean and exactly what we needed! One morning, we visited Hotel Bosinak because we fancied a good hotel breakfast, and it is a really beautiful and more peaceful boutique hotel away from the festival and its party animals. It’s up in the hills and surrounded by vineyards, and there’s even the possibility to go wine tasting there, I would definitely want to go back there if I wanted to enjoy a more peaceful trip away from the festival. Imagine that we had mimosa’s for breakfast with both the oranges and prosecco having been produced locally! This was definitely the best place we went to throughout our entire Fresh Island experience, although it’s also one of the priciest. We walked past it as we were going along the beach and were so taken in with the nautical theme that we decided to check it out and it literally restored our faith in the food out there. We ended up going a couple of times actually, and each time I shared a fish platter selection with my friend Steph and we got drunk on Whispering Angel, which is basically the palest of pale rosés. We got to go up and see all the fish, which was so fresh! If you’re looking for a lovely place to eat good food outside, then I definitely recommend you try it here. Another good little find was the Garden Restaurant, an outdoor space with a barbecue and some of the best burgers I’ve had. The place isn’t as fancy as Starac I More, but it is a beautiful place to get good grub and nurse your hangover. So there’s my thoughts and lessons on Fresh Island Festival, do you think you would go to this festival next year? To be honest, I’m already excited for next year, it’s such a beautiful place and I think it has the potential to be the best festival in Europe. 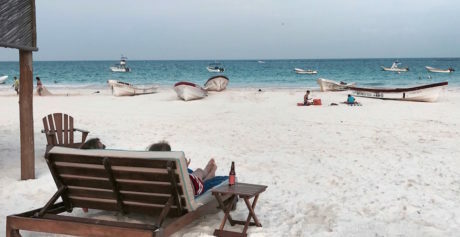 Plus, who doesn’t love combining a festival holiday with a beautiful beach trip? Let me know if I’ve inspired you to consider it next year! If you’re reading this as someone who has been to Fresh Island Festival already, I’d love to know if your experience was similar to mine?